Luckily, the filter was not damaged, and I had video evidence (security cameras) showing that I did not sign for it. I understand how frustrating this must be for you, and hope that’ one way or another, an acceptable resolution can be found. I would suggest, however, that perhaps taking a less combative approach with Gowforge (at least publicly) might prove more fruitful. Separately, have you looked into whether or not this might be covered under homeowners, renters, or business insurance? While you would still be out your deductible, it might cover a larger portion of your loss? Reading through all of the comments here, I see one little problem…there is no financial relationship between @joshua.lutz and Glowforge. What happens if something is lost in transit, stolen off the UPS truck or at one of the hubs? First the customer is going to notify UPS up to several days later when it doesn’t show up. Or UPS will assume that it is misdirected or lost and have to search for it for a few days. UPS (when they have completed their search) will notify Flex, the manufacturer, who shipped it, then Flex has to research the serial number for that machine in order to know which one went missing. Eventually, someone will get the serial number information to Glowforge, who will then know not to activate the unit. Joshua paid three thousand dollars to thieves for stolen property. Glowforge is out the complete cost of the replacement unit that they had to send to the original purchaser. What some of you are wanting Glowforge to do is essentially give Joshua a free machine, just because he purchased something without waiting long enough to get a response from Glowforge. Glowforge posted several warnings about not buying from people you don’t know that were seen, but not followed. There is a shared culpability here. But there is no financial transaction between Joshua and Glowforge, aside from being mutual victims of the thieves. I almost hate to post this next bit, because the likelihood of it coming to pass is pretty slim. A possible compromise would be for Glowforge to sell Joshua a license for that machine. The cost of that license would be the cost of a new Pro model, less the cost to manufacture the machine. (Which is what Glowforge lost.) Both parties would benefit…Joshua because he would no longer have a $3000 brick on his hands, would gain back part of what he lost to the thieves, (although probably not all of it), and would also save on shipping costs. And Glowforge will have made a sale, while recovering the lost value of the unit that was stolen from them. But…a slight caveat…an action like this sets a precedent, and the lawyers might nix the idea outright. Thanks to an excess of lawsuit happy consumers, it’s just how business has to be run these days. In addition, it would take time and personnel away from other things, that they might not have time for. That costs them as well, and delays their implementation of other projects and responses to actual customers in the interim. Also since they are not set up to do this kind of thing, resolution might take several weeks, because they would be establishing a policy - if they should decide to pursue it. That strikes me as being a reasonably fair compromise in this situation. I’m sorry to have to disagree with the bulk of the comments here. While I’m sorry that this happened to Joshua, I don’t actually see that Glowforge has any responsibility to provide him with a functioning machine. He didn’t buy a machine from them. And I don’t really think it’s fair to everyone else for them to do so. They won’t stay in business long if they start handing out free machines, because I guarantee this won’t be the last time this happens, and the possibility for abuse is there, if they were to do it. As far as blacklists being maintained in the systems, I’m afraid that delays due to notification along the chain are going to prevent them from working in cases like this one, so they wouldn’t be effective to prevent a setup on a stolen machine. But maybe those of you who think it should happen can brainstorm a way to make it work. That would actually be something that would improve the situation, and I’m sure Dan and the team would listen to any viable ideas. They do adopt customer ideas if they are feasible. @dan, it might keep this from happening again if you could include something in that writeup about “waiting to hear back from Glowforge before proceeding with the purchase.” That part might not be self-evident to all customers, and they might not realize there is going to be a delay while it’s researched. Anyway, that’s my take on it, for what it’s worth. That and five bucks will net you a small cup of coffee at Starbucks. And just to make sure this is completely clear to people reading the thread…everything in this post is my opinion/suggestion. It has nothing to do with Glowforge, it’s based on my understanding of how business works in general, and it might be incorrect, incomplete, or unfeasible to implement. So take it with a grain of salt. This is why I post my opinions very rarely around here. It takes too damned long to explain them. I steal a package from someone’s house. It’s reported stolen and bricked by the company. I then report to the company that I purchased a used machine and it’s bricked, apparently stolen. They unbrick the machine because I seem like a good guy. But, I’m the one who stole it, and I just got a machine for free. Then, I decide that I had such a bad experience with Glowforge, I now want to resell the machine… so I can resell an unbricked machine legitimately. Not saying this is what happened, but this is certainly something that could happen. I haven’t demanded or even asked for anything from Glowforge aside from improvements in their offering to make this not happen to other people. I’ve said repeatedly that I’ve accepted my loss. Of course I’m bitter about it. While of course I’d appreciate some kind of olive branch from Glowforge to not be sitting on a useless pile of gorgeous hardware, I haven’t asked for a single thing except explanations and software improvements. All the hypotheticals about what did they know and when, how they ship, how they insure, who’s really lost what, etc are all in service to making sure this doesn’t happen to other people. That’s easily solved by requiring someone who buys a used machine to provide GF a sales record of some sort - emails or sales agreement. Then GF can look it up and verify the seller was in a position to sell it (hadn’t reported it stolen) or if they’ve got no record the seller got it or activated it they can reach out & confirm. If it was stolen they know who to send the police to see. If it wasn’t everyone is happy. The thing that is missing from your scenario is that while bricked, the software acted like it was not bricked during initial setup leading Joshua to hand over the cash and accept the soon to be paperweight. Thus, the current software design help the bad guy get away with it. Had it reported as bricked right off the bat, we have no issue and Joshua is still shopping for a glowforge. Had Joshua not tested the setup in advance, then he would have no leg to stand upon and again no issue with precedent. So, assuming they can change the software to check for stolen before allowing set up to finish happily, then they are not exposed by helping Joshua out this time. As Jules suggested, Joshua should pay something in exchange for unbricking. Oh, I know that, (and I think it’s admirable). There isn’t any reason why you can’t make the proposition though. They are really very good folks there - they might be looking for something to help. Anyway, they do need to figure out a way to get the word out to people that there could be delays in the response while they research the serial number with Flex. That was a reasonable assumption…the welcome screen is very welcoming. I appreciate your thoughtful responses, but I honestly don’t think this had anything to do with Flex. This printer was on Craigslist for 14 days before I responded. I went to go get it 2 days later. This unit was on a blacklist in Glowforge’s system. Nobody from Glowforge has said anything differently. I honestly find it hard to believe that a unit leaves the factory without making it onto a whitelist. I wager the units all get reported to the cloud services the moment they’re either ordered (from Flex) or at least when they’re built and get their shiny new barcode label. I deeply understand the legal issues, I work in a far more heavily regulated field and I understand the concepts surrounding policies and precedent and how hard it can be to remain flexible to “do the right thing.” That’s why I’ve been trying to work the problem rather than demand solutions. I can’t help but admire your composure. Posting your experience serves as a valuable warning to others, and has to make the company think of modifying the protocol to help eliminate what you were unfortunate to experience. Well, at any rate, I hope you and Glowforge can work something out. I think what everyone keeps missing is that companies who have stolen/lost property typically either write it off or claim it on insurance. They aren’t necessarily out any money. But they also can’t just reclaim the property later. That’s fraud. And if it’s insured, the claim is paid, and then the insured object is recovered, that insured object now belongs to the insurance company. i worked at USAA in the claims department many years ago and we used to have regular auctions to the employees for just these types of items. that’s how i got my first apple iic (and a lot of other fun things). Thank you. I was pretty sure that’s how it worked, but wasn’t 100%. This is a hard lesson in the concept of ownership. If I own a lawnmower, I can use it, repair it, modify it, and sell it. It’s a self-contained machine that is wholly under my domain. In the new world of “cloud-based” software and devices, we are simply renting these devices as long as we are allowed, or as long as the company remains in business. This is not just a sad story about someone who was scammed by theives. This is a story about people who do not fully own a very expensive piece of equipment. In the new world of “cloud-based” software and devices, we are simply renting these devices as long as we are allowed, or as long as the company remains in business. Not exactly. The hardware is ours. It may not work if the company goes out of business because the software that drives it goes away. But we can modify it by replacing controller boards and other electronics so that it doesn’t rely on the company’s software (& cloud). We may not have all the features and functionality provided by the company’s software but we aren’t necessarily out of luck. I appreciate @joshua.lutz’s desire to take his lumps and “work the problem” for the benefit of the rest of us, as well as @jules’s desire to help him out. This appears to be a situation where a modest software update can make a big difference to purchasers of used machines. Being just a member of the peanut gallery I am not in a position to ask anything of the company, but in my opinion, this important user experience issue merits a direct response from @dan. Please don’t just send this issue into the hopper, Dan. I hope that you can tell us that you agree the setup process should check the blacklist, and that you will instruct your team to make it so. If you believe that it is better the way it is now, I hope you can explain why. but in my opinion, this important user experience issue merits a direct response from @dan. He did, way up near the top of the thread. He didn’t say it was going into the hopper so it may (or may not) get actioned sooner. OK, I said “a response” but should have said, “a response to the specific issue of improving the setup experience.” Dan’s existing communications do not directly address that. Also, “passed it along” sounds a lot like “the hopper” to me, and the hopper is where dreams go to die. 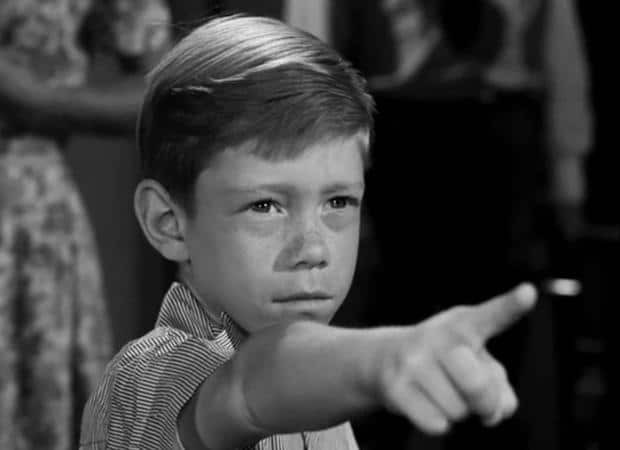 The creepy kid in the Twilight Zone wished you into the hopper when he didn’t like you. I am unlikely to be bitten by this problem since I don’t plan on buying a used Glowforge. Still, my opinion of the company would improve if the company said, “that was a poor experience and we are committed to improving it.” But no such commitment was voiced, which is disappointing.